Jack is struggling on the farm that he and his buddies are trying to get ready for other soldiers to come and heal. None of them are too keen on therapy, but that's exactly what they need. Jack came home from the SEAL team that he was on a very different man. He was injured and saw men who were his brothers perish. There was no getting over that and just running home. Plus, his home life was less than stellar. Rose is hiding. She's existing, but not truly living. She believes that if she can protect her sisters form their abusive parents, then she will be atoning for letting them down when they were younger. 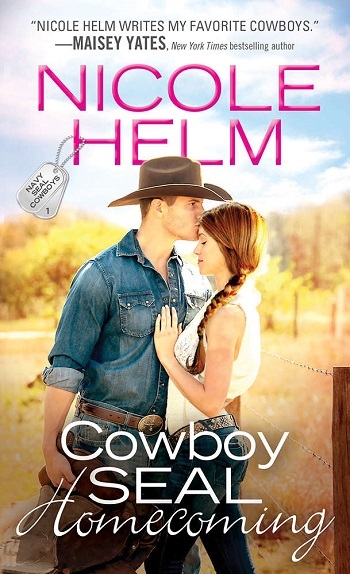 In order to do that, she enlists Jack's help – watch out for one man and his truck at her bar and let her know if he sees them. It was a simple request, but Jack had his own request – pretend to be his girlfriend while his family comes and visits. Somewhere in the facade that they are putting on, Jack realizes that he really enjoys Rose's company. He knows that she has been hurt in the past and knows he has to tread carefully. Rose sees the potential that she could have with Jack, but also knows that her past actions were something she was not proud of. When she sees how good and pure Jack's heart is and how his family treats him, she stands up for him and his buddies' farm and what they are building. Life gets in the way for Jack and Rose, but overall, the secondary characters help move the story along. I can't wait to see who gets the next story – they all deserve it and I really hope that we get to see how Rose and Jack's story has continued. 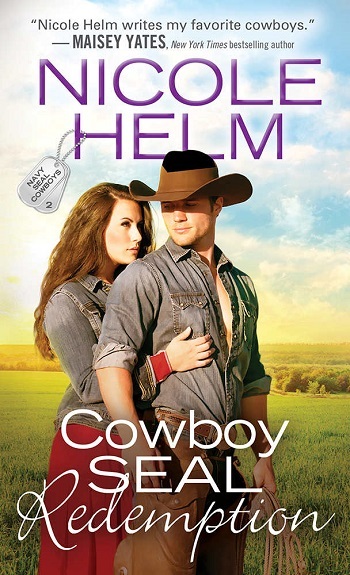 For reviews & more info, check out our Cowboy SEAL Homecoming post. Reviewers on the Wicked Reads Review Team were provided a free copy of Cowboy SEAL Redemption (Navy SEAL Cowboys #2) by Nicole Helm to read and review.